Best Lenses for Nikon D7500 DSLR camera. 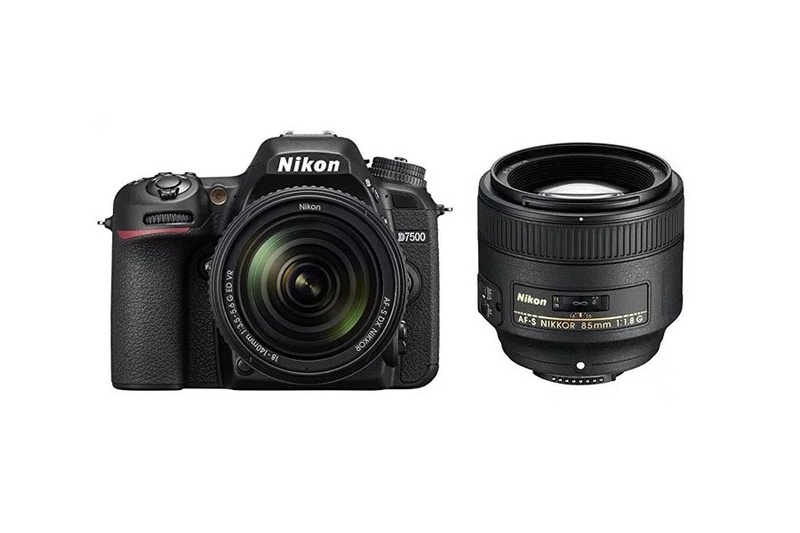 Here are the top recommended lenses for your Nikon D7500 mid-range DX-format DSLR camera. Designed as a true all-arounder, the Nikon D7500 ($1,249 at Amazon, B&H, Adorama) is a DX-format DSLR offering a versatile feature-set to appeal to photographers and videographers alike. The Nikon D7500 is one of the best advanced DSLR cameras and with the right lenses, perfect for all types of photography. The top-tier Nikon D7500 features the same 20.9 MP DX-format image sensor and EXPEED 5 image processing as the D500, and it has an 8 fps continuous shooting rate for up to 100 consecutive JPEGS, a native sensitivity range to ISO 51,200 that can be expanded up to ISO 1,640,000, Multi-CAM 3500FX II 51-Point AF System, and 4K UHD video and time-lapse recording capabilities. Additionally, SnapBridge Bluetooth and Wi-Fi permit wireless transferring of photos and movies and remote control over the camera from linked mobile devices. Choosing the right lens is not always an easy task. Here we looked at all lenses from Nikon and other companies and selected the best choices based on good price, usefulness and high image quality, including leading prime and zoom options from wide-angle to telephoto. Highly Recommended! An ultimate portrait lens that offers attractive booked effect and precise focus is possible to achieve to focus on the pupils of subjects eyes while blurring the eyelashes. This Sigma 85mm f/1.4 Art lens achieved an impressive 93% overall score and Gold Award from the experts at DPReview. And Sigma 85mm f/1.4 Art Nikon version received the highest DxOMark score ever! Ideal for professional photographers and discerning photography enthusiasts for portrait photography, low-light photography, night photography, landscape photography, photojournalism, events, and wedding photography. Excellent Lens! The Sigma 50mm F1.4 DG HSM Art is a pro-level performer for full-frame DSLRs and is ideal for many types of videography and photography, including portraits, landscapes, studio work and still-life. A Hyper Sonic Motor (HSM) ensures quiet, smooth and accurate auto-focusing and paired with Special Low Dispersion (SLD) glass and Super Multi-Layer coating, the 50mm 1.4 is a high performance lens for the modern DSLR sensors. The Nikon 85mm f/1.8G is a consumer-grade portrait lens for enthusiasts and seasonal pros with high quality optics and affordable price. It is the sharpest 85mm lens ever made by Nikon. Nikon 85mm f/1.8G features Nikon’s Internal Focus (IF) system providing fast and quiet AF and produces sharp and clear images at all apertures. Its fast maximum aperture is ideal for taking stills or HD videos under ideal lighting, in low light, head and shoulder portraiture, weddings or concerts. When mounted on a DX-format D-SLR, the AF-S NIKKOR 85mm f/1.8G has an effective field of view of 127mm. Highly recommended for portrait shooters. The Nikon 50mm f/1.4G is a professional-grade and ideal lens for enthusiasts and pros that need a high quality lens for portraiture, food and everyday photography. When used on a DX-format camera (equivalent to a 75mm lens), it becomes an ideal portrait lens. Outstanding image quality, edge-to-edge sharpness and exceptional background blur. Flagship Macro Lens! Featuring the built-in Vibration Reduction (VR) image stabilization and its ultra-fast, ultra-quiet Silent Wave Motor (SWM), the AF-S VR Micro-NIKKOR 105mm f/2.8G IF-ED is optimized for close-up and macro photography yet versatile enough for all photographic situations—even handheld shooting! The longer focal length offers ample working distance when shooting close-ups of flowers, insects and other small wildlife. It’s medium-telephoto angle-of-view even creates beautiful portraits. Stunning sharpness and outstanding close-up performance! Incredible lens! The SP 90mm F/2.8 Di MACRO VC (Model F017) redefines the best in advanced features and succeeds a legacy of superior optical performance. Offering a life-size maximum magnification ratio of 1:1, this lens benefits working with small and nearby subjects and employs a Floating System for maintained image quality throughout the 11.8″ to infinity focusing range. “Very sharp, auto focuses quickly and quietly, and shows very little noticeable chromatic aberration, much less any distortion at typical apertures”. Budget option! This Nikon 40mm f/2.8G will allow users to get true 1:1 magnification for extremely close-up imaging. Wether you’re shooting portraits, food or nature—indoors or outdoors—the AF-S DX Micro-NIKKOR 40mm f/2.8G’s rounded 7-blade diaphragm renders a beautiful, natural background blur (Bokeh) at its wider aperture settings. Ideal for shooting general close-ups, food photography, delicate flowers, detailed collectables, portraits, landscapes and more. Outstanding all-in-one telephoto zoom that can capture all of them beautifully with a single lens! It’s the best answer if you want to pick only one lens for Nikon D7500. Quite silent and accurate autofocus, good sharpness, excellent stabilization efficiency, surprisingly compact and lightweight, extreme 16.7x zoom range, the Nikon 18-300mm f/3.5-6.3G ED VR is a highly versatile lens that can do just about anything—stills, videos, landscapes, interiors, portraits, wildlife…you can catch stunning close-ups of concert performers and athletes as easily as wide scenic shots. Its compact, balanced design and Vibration Reduction technology help keep photos sharp and videos steady, and the lens’ fast, quiet autofocus system minimizes camera noise during video recording. The AF-S DX NIKKOR 18-200mm f/3.5-5.6G ED VR II is a powerful, versatile photo and video partner. Extremely popular and all-purpose lens! Its powerful 11x zoom goes from wide-angle (18mm)—great for group shots, landscapes and more—to telephoto (200mm)—great for portraits and bringing the action close. Its equipped with Nikon’s advanced Vibration Reduction (VR II) for remarkable image clarity even when handheld shooting or in demanding lighting situations. Excellent lens! Offering impressive optics, effective autofocus and image stabilization systems, and drip-proof construction, Tamron SP 24-70mm f/2.8 DI VC USD delivers a very useful range from 24mm true wide-angle to 70mm short telephoto, useful for landscapes, interiors, portraits, street photography and much more. It is also ideal for shooting video. Suggested for enthusiast and semi-professional photographers looking for a high quality fast zoom for full frame cameras. Excellent performance, but a little expensive! The Nikon 24-70mm f/2.8G ED is a fast aperture and very popular standard zoom lens designed for photojournalism and general photography with wide-angle to portrait length perspectives. With a continuous wide aperture of f/2.8, quiet autofocus, and updated lens coating technologies, this lens is considered a workhorse for professional photographers and videographers thanks to its fine resolution and natural, accurate color representation. Sigma 17-50mm f/2.8 EX DC OS HSM is very popular and it offers a large aperture of F2.8 throughout the entire zoom range, making it ideal for many types of photography such as press, events, weddings, portraits, and general use (especially portraiture and landscapes). This lens boasts superior peripheral brightness and provides sharp, high contrast images even at the maximum apertures. If you need to be ready for any photographic opportunity, even low light, then this Sigma lens is perfect. With a great focal length and macro capability, the 17-70mm F2.8-4 is also equipped with a Hyper Sonic Motor (HSM) and an Optical Stabilizer (OS) for superior image quality. The HSM ensures quiet, accurate, and fast autofocusing while the OS compensates for camera shake when shooting by hand. It’s surprisingly compact in size for a large-aperture lens that opens up to F2.8. Designed to be the kind of lens you carry around with you all the time, it delivers simplicity and is so user-friendly it’s sure to satisfy even the most demanding of users. With a compact, lightweight design, the Nikon 35mm f/1.8G provides the high reproduction capability and picture quality at an affordable price. With an f/1.8 maximum aperture it is useful in low-light conditions and it has one aspherical element to help control distortion and aberrations. A perfect lens for low-light conditions, travel, environmental portrait, street and general photography. Highly recommended! The first lens to buy for Nikon D7500. The Sigma 18-35mm 1.8 DC HSM Art lens is a new benchmark in photographic history and a must have for every camera bag, it is the first wide-angle to standard zoom lens to achieve a large aperture of 1.8. The Sigma 18-35mm f/1.8 Art is ideal for landscapes, portraits, still life, snap shots, casual, and close-ups and the Hyper Sonic Motor (HSM) ensures smooth, fast and accurate autofocusing. Nikon 10-24mm f/3.5-4.5G is Nikon’s best DX format ultra wide-angle lens—With the widest end of 10mm covering a 109° angle of view (nearly fisheye), the AF-S DX NIKKOR 10–24mm f/3.5-4.5G ED delivers dramatic perspectives for a creative edge, and it is ideal for shooting photos and HD video of landscapes, cityscapes, interiors, architecture and more. It’s also versatile enough to focus on subjects as close as 0.8-ft.
Really great Lens! This compact Tokina AT-X 11-16mm f/2.8 PRO DX II ultra wide-angle zoom has a bright constant F2.8 aperture make viewing and auto focus possible in lower light situations but still maintaining a reasonable size and weight. Fast f/2.8 constant maximum aperture is a clear advantage for low light shooting over slower models and yet possess very good sharpness levels. Excellent lens! This is the fastest lens ever made by Tokina. And it is extremely sharp! The fast F/2.0 aperture lens offers an equivalent 21-30mm zoom range. The super-bright, constant F/2.0 aperture makes viewing, auto focus and shooting possible in very low light situations while still maintaining reasonable size and weight. Featuring Consistent output, Durable, Fast / accurate auto-focus, Nice bokeh, Rugged and Strong construction, Tamron SP 70-200mm f/2.8 is an excellent high-speed standard to telephoto zoom lens. It can offer superior image quality accentuated by advanced Vibration Compensation (image stabilization) and an Ultrasonic Silent Drive Motor for quiet, smooth and precise autofocus. It is most used by customers who consider themselves to be a Semi-pro photographer among others. A versatile, lightweight telephoto zoom lens. Ideal for wildlife, travel, well-lit sports and general photography. Compact and lightweight, Nikon 70-300mm f/4.5-5.6G ED-IF VR is a well-balanced walk-around lens for stills and HD videos and it can capture exceptional photos and HD videos with edge-to-edge sharpness. Nikon VR (Vibration Reduction) image stabilization provides 2.5 stops of blur free handheld shooting, assuring dramatically sharper still images and HD video capture. You can even focus as close as 4.9-ft throughout the entire zoom range for fantastic close-up shots. Below are the recommended super telephoto zoom lenses for Wildlife and Sports photography. The Best Value Super Telephoto Zoom Lens for Wildlife and Sports Photography! Boasting 2 FLD glass elements (performance equal to fluorite) and 3 SLD glass elements, the new Sigma 150-600mm Sport produces incredibly sharp images through the entire zoom range. An updated optical stabilizer (OS) features an accelerometer for improved panning photography both horizontally and vertically, essential for birding, wildlife and motorsports photography – Extremely well built and solid, with a splash – and dust – proof construction, ideal for those serious about wildlife, nature, sports or other telephoto-centric outdoor subjects. Lightweight, compact super telephoto zoom! The Nikon AF-S NIKKOR 200-500mm f/5.6E ED VR is an exhilarating lens option, giving enthusiast FX and DX-format photographers the ability to go further with amazing zoom power and tack-sharp clarity. This compact super-telephoto zoom is ideal for bringing distant subjects closer, including birds, sports, wildlife and motorsports. Great Lens! The SP 150-600mm G2 (Generation 2) ultra-telephoto lens with upgraded optical performance enables handheld shooting with remarkable definition: better overall optical performance and faster AF speed, VC enhancements, plus Euori1e Coal, FLEX ZOOM LOCK and tele converter. AF speed is significantly improved from current model, and it enables accurate high-speed focus even when capturing moving subjects. Remarkable versatility and performance! The ultimate medium to super-telephoto zoom lens! If you’re looking for a compact, versatile telephoto zoom lens that handles portraiture as well as it handles long-distance wildlife and action photography, look no further than the AF-S NIKKOR 80-400mm f/4.5-5.6G ED VR. The AF-S NIKKOR 80-400mm f/4.5-5.6G ED VR covers the broadest focal length range of any NIKKOR super-telephoto zoom lens. At 80mm, its an ideal medium-telephoto portrait lens. Create stunning portraits with a medium telephoto perspective and softly blurred backgrounds. At 400mm, its a powerful super-telephoto lens suited to wildlife and action photography, with or without a tripod.